" eDAQ welcomes suggestions, comments, and proposals from our customers and business partners. We offer a range of OEM solutions for data acquisition where signals need to be displayed graphically in real time." – Boris Schlensky B.E. M.Eng Sci. 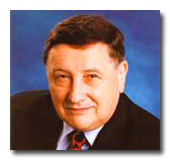 Our CEO, Boris Schlensky, is an electrical engineer with over 40 years of experience in data acquisition and analysis systems for laboratory and industrial use.